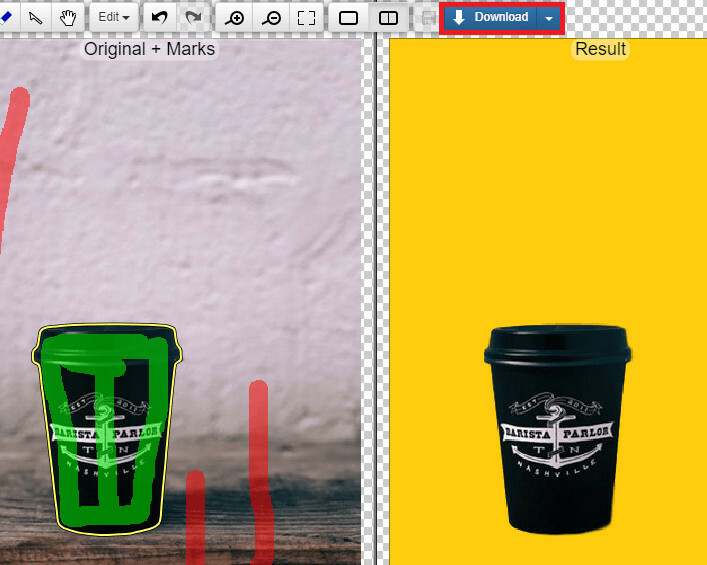 Whether you’re just looking to make a couple of fun edits for a photo album or looking to make a ton of edits for your e-commerce website — it’s nice to be able to play around with the background of your images. Actually, it’s fun just to change it in general! And, if you’re looking to make money selling products online, having a clean (but colorful) background can certainly make your product image stand out from the rest! 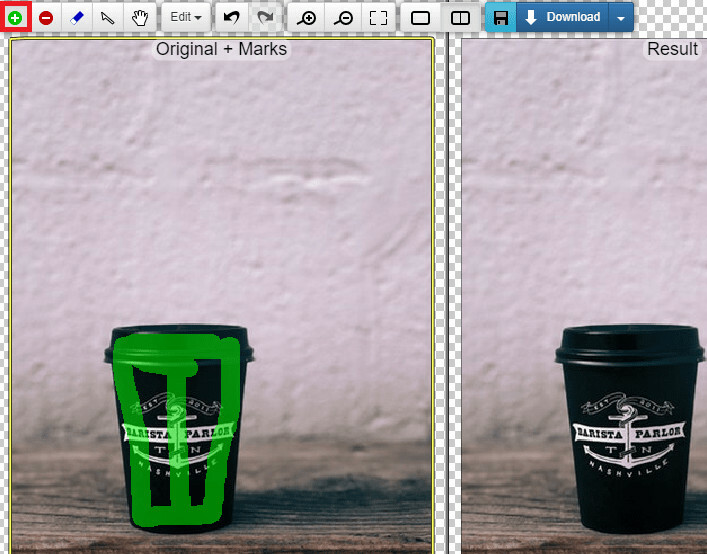 In this “Change Background Color of Photo online to Any Color You Want” article — we’re going to be introducing you to a couple of different methods that you can try to customize your images. Because this is an online program, you won’t have to download and or install any software in order to use it. However, you do need to visit their website. As a reference, their homepage should look a little something like this (refer to the image down below.) 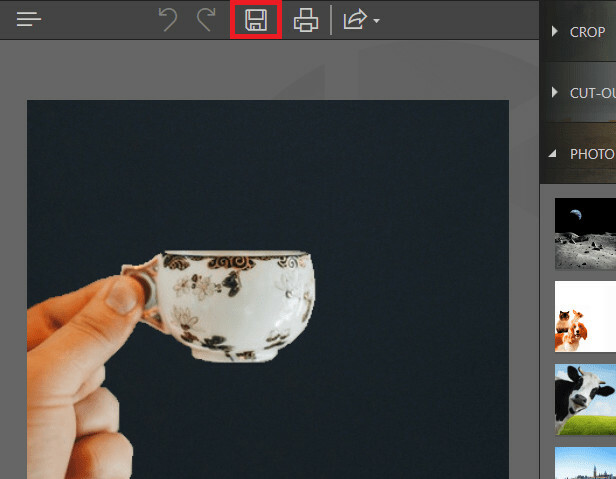 While we’re at it, you can also import the image that you want to customize by either dragging and dropping it on to the perforated box, or click on the blue “Pick Image to Upload” button on the right-hand side of the screen. The next one is the clincher tool, this is the red markup tool — which is used to highlight the areas that you want to delete. As you can see from the sample image below, the background was deleted. The only thing left behind now is the black coffee cup. Now that the original background has been deleted, you can change the background color of the photo into any color that you want! All you have to do is click the “Background” button that can be found on the left-hand side of the screen, and choose the color that makes your image pop! Exporting your image is pretty easy. Clipping Magic also offers exporting tools that can help you finalize the kind of image that you want. Whether it be high resolution, web optimized, etc. These options can be found under the “Download” button on the top right-hand side of the screen. 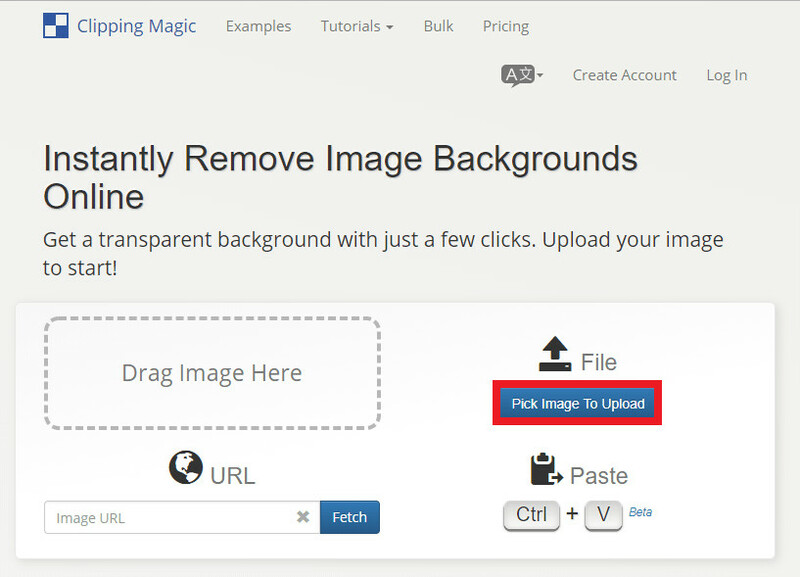 REMEMBER: In order to download images with Clipping Magic, you’re going to have to purchase credits. Online editors are great and all, but most of them are quite limited. As such, we’re going to be introducing you to a better way of changing the background color of your photos. This method is through the use of a desktop program called the Fotophire Editing Toolkit. This is an easy-to-use graphics editor that provides a bounty of premium tools (including tools that will help you change the background color of your photographs. Choose the areas that you want to keep with the precise Paint Areas to Keep Tool! Similarly, choose the areas you want to be deleted with the Paint Areas to Remove Tool! All the tools are adjustable, allowing you to precisely pick out all the areas that you want to keep, as well as all the areas that you want to delete. Adjust the overall clip with the Edge Blur slider. 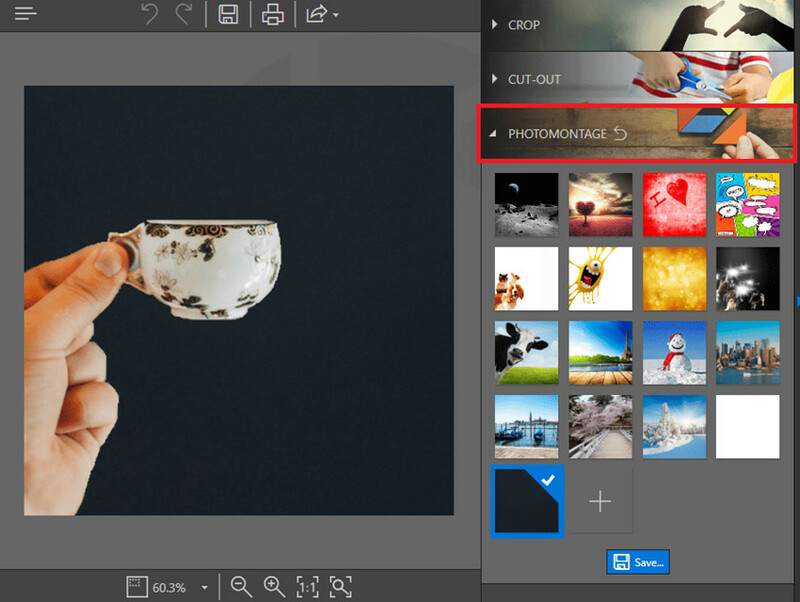 Change Background Color of Photo using the PHOTO MONTAGE module. 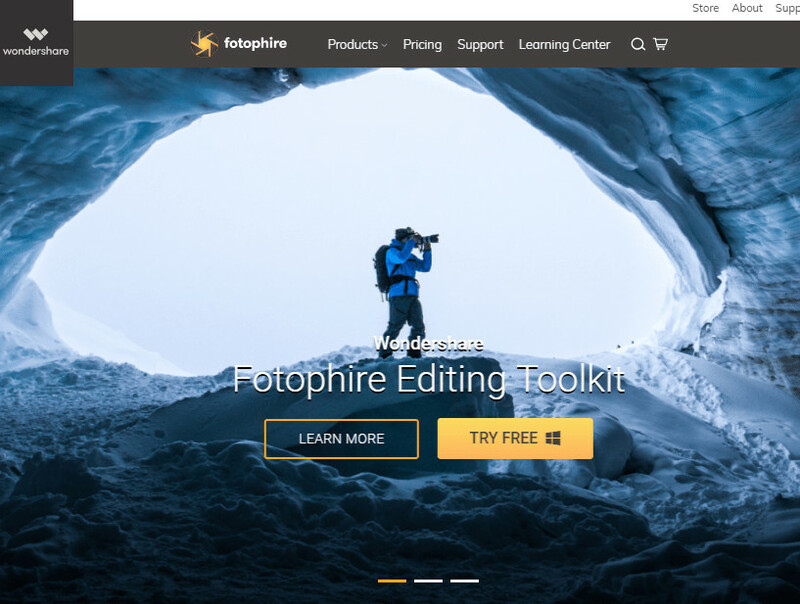 Unlike online editors, you do have to download and install the Fotophire Editing Toolkit. This can be done through their official website. Note: If you want the full version, you’re going to have to pay the one-time payment. BUT, if you’re looking to try out the product first, you can do so by downloading the demo version (it will allow you to test out all of the features. The desktop program should only take a couple of minutes to download and install. Afterward, we can move on to the next step. To do so, you’re going to have to launch the Photo Cutter editor. This is one of the things unlocked by the demo version. 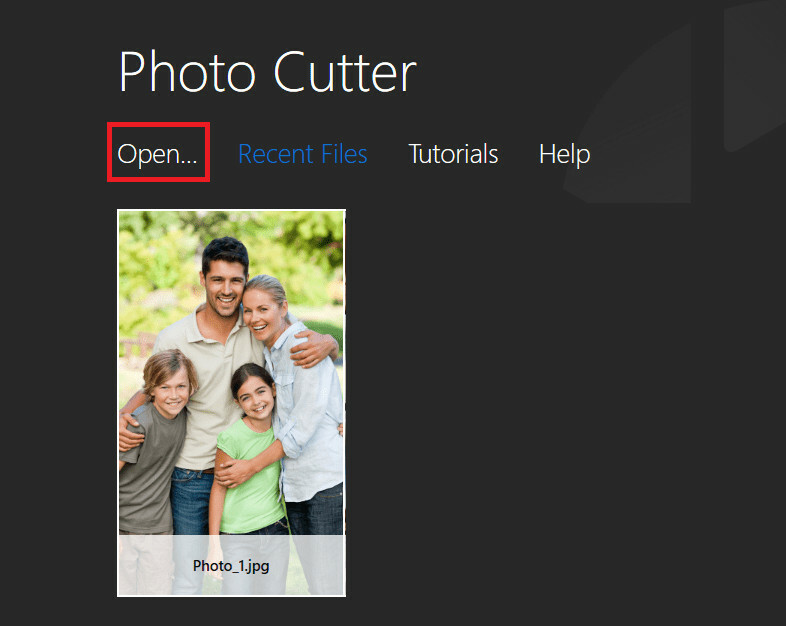 Next, import the image that you want to customize by clicking on the white Open… text on the main hub. Basically, (much like Clipping Magic), you’re going to have to delete the original background in order to replace it with a new one. Fotophire offers a couple of premium tools to help you finish up the job. These tools can be found under the CUT-OUT module. 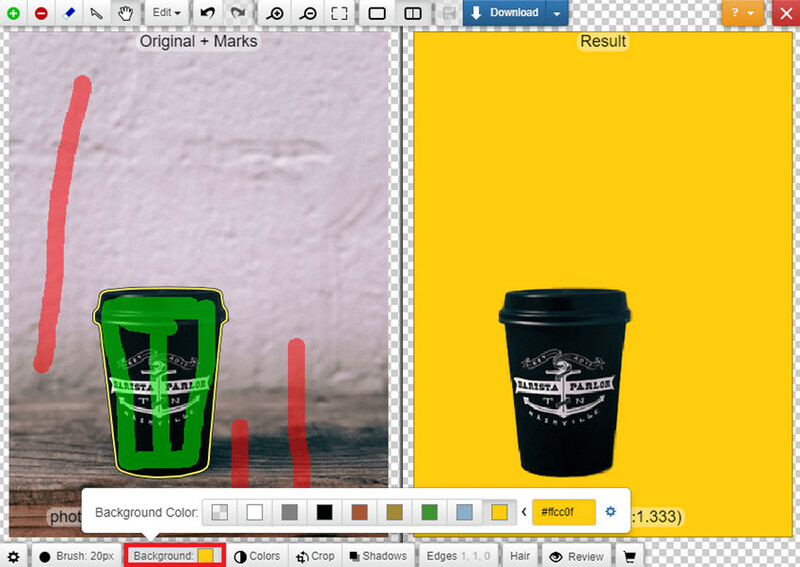 The first tool of importance is the Paint Areas to Keep Tool this is the green markup tool that will allow you to highlight the areas of the image that you want to keep. The second tool of importance is the Paint Areas to Remove Tool, this will then delete the parts of the image that you don’t want to keep. Change the size of your brushes to allow for precision with the Brush Size slider. Clear the marks you made and start from scratch by clicking on the Erase Painting option. Make the automatic clip faster or slower (but better quality) using the Quality slider. Blur out the edges to avoid awkward lines using the Edge Blur slider. 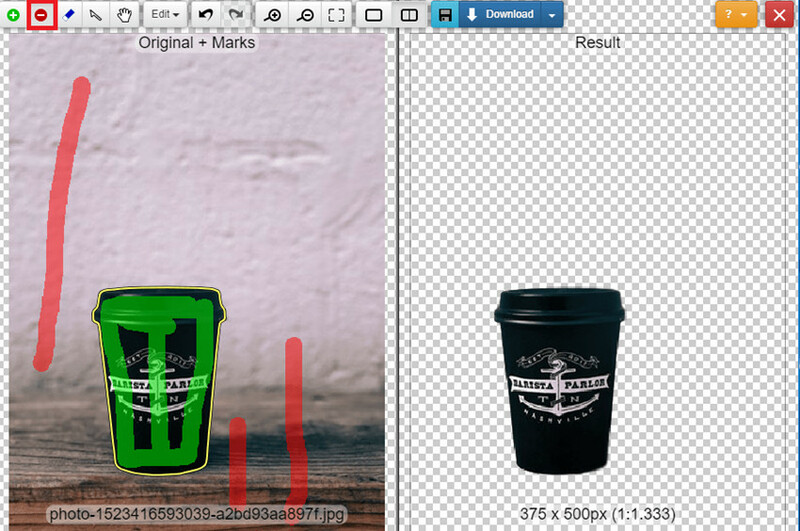 Now that you’ve deleted the original background, you can add a new one using the PHOTOMONTAGE module. You can choose from one of the presets available, or add your own custom background by uploading an image using the + box. As you can see, we were able to change the background color of our photo (to any color) using the Fotophire Editing Toolkit. All we have to do next is Save. REMEMBER: If you want to use the program properly, you’re going to purchase the full version. You can do so by clicking here. Stability and Speed: When we’re looking at stability, we’re looking at how fast the program is and how easily you’ll be able to come back to it. The Clipping Magic editor offers almost instantaneous clipping tools, but this is all dependent on your internet. 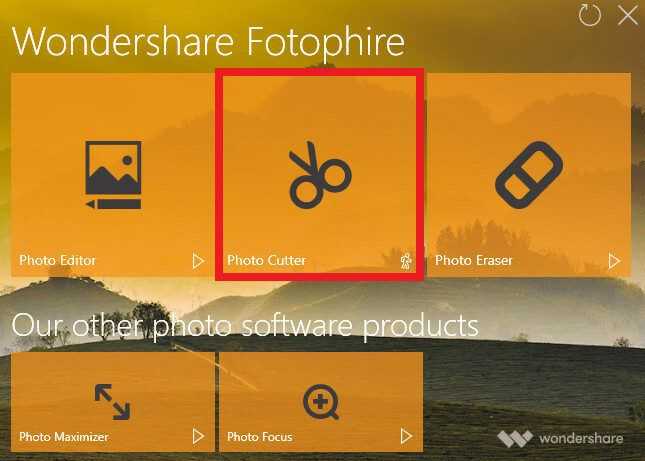 There’s no denying that the more reliable choice (in this case) is the Fotophire Photo Cutter — which can be downloaded and accessed directly from your desktop. Ease of Use: Both programs offer relatively intuitive interfaces. They also have premium clipping tools that allow for easy editing with the use of drag & drop capabilities. As such, this one ends in a draw. Pricing: Clipping Magic offers a plan that is good for someone that’s looking to customize only a couple of images at a time. However, this might end up costing you more in the long run. The Fotophire is a much better option, as you only have to pay a one-time payment fee in order to use all of its premium options. There are tons of different online and desktop editors that you can use to change the background color of your photographs. Clipping Magic offers great functionality for people who are just looking to edit a couple of images. However, if you’re looking for a long-term solution to your editing needs, then the Fotophire Editing Toolkit is the way to go. Not only will you have access to premium clipping tools, you’ll also be able to use the other editors that they have available. It’s the most bang for your buck — making it the better option.